« Hurricanes are a force to be reckoned with in the state of Florida. The destructive weather that comes summer can pose mind-boggling damage to property. The summer season is just around the corner. The destructive weather that comes summer can pose mind-boggling damage to property. To be on the safe side, you need to sufficiently prepare your home for the hurricane season by undertaking the much-needed reinforcements. 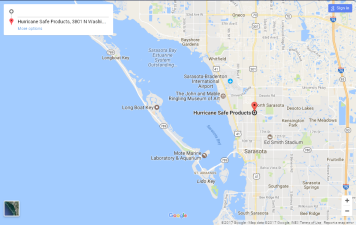 Hurricane Safe Products is your best partner when it comes to the provision of such reliable hurricane weather-proof reinforcements. Among the products from Hurricane Safe Products that may come in handy as you prepare for the hurricane season include the Greentek Rolling Shutters. These shutters come in handy in providing additional reinforcement to your doors and windows. The shutters are designed to be rolled down when closing and can be rolled up neatly when not in use. The simple-to-install shutters provide additional security to your house, especially when it comes to the prevention of burglaries. They are also designed to offer optimal weather control in your house and do not cause unnecessary retention of heat inside the house when rolled down. Hurricane Safe Products also provides additional products such as Hurricane Screens which help protect your windows from debris held around by strong hurricane winds. Accordion Shutters are also effective in providing additional reinforcement for the doors and help prevent debris-based damage.